Although Sarah Valley officially began in 2016, its founder had been quietly working on it since she was a child. Always drawn to making things with her own hands, Sarah would find herself captivated by complex and intricate designs. 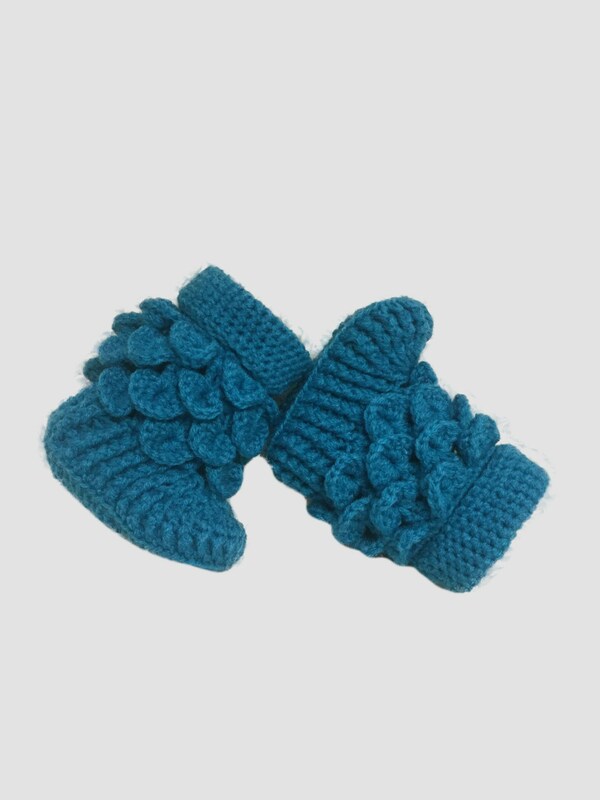 It’s logical, then, that Sarah Valley is known not just for its beautiful products, but for the delicate and stunning crocheted designs that include everything from baby booties to hats and even jewellery. Born in Baghdad but raised in the United Kingdom, Sarah became even more focused on her craft as she got older. This passion led to her enrolling at the University of the Arts London where she was influenced by the broad scope of global arts, and, of course, the intricacies of patterns. Today, Sarah still handcrafts each and every one of her brand’s products, including those that have been featured in Vogue and Brides magazine. Available online, all of Sarah Valley’s collections speak to the artistic eye. 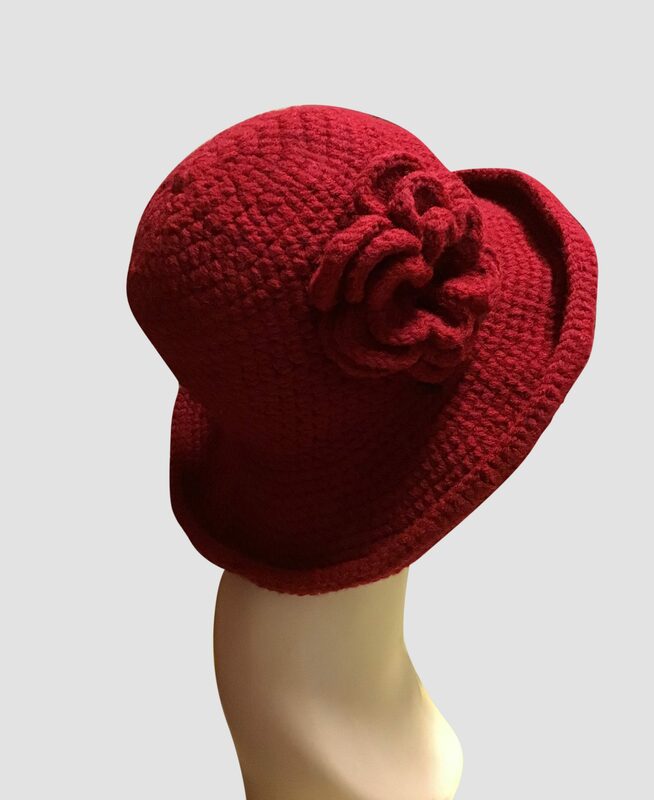 In the Wedding Collection, brides will find gorgeous crystal cuffs and photo-worthy bridal hats – all of which have been painstakingly crocheted by the incredibly talented hands of Sarah. Thankfully, brides aren’t the only ones who get to enjoy wearing Sarah Valley. 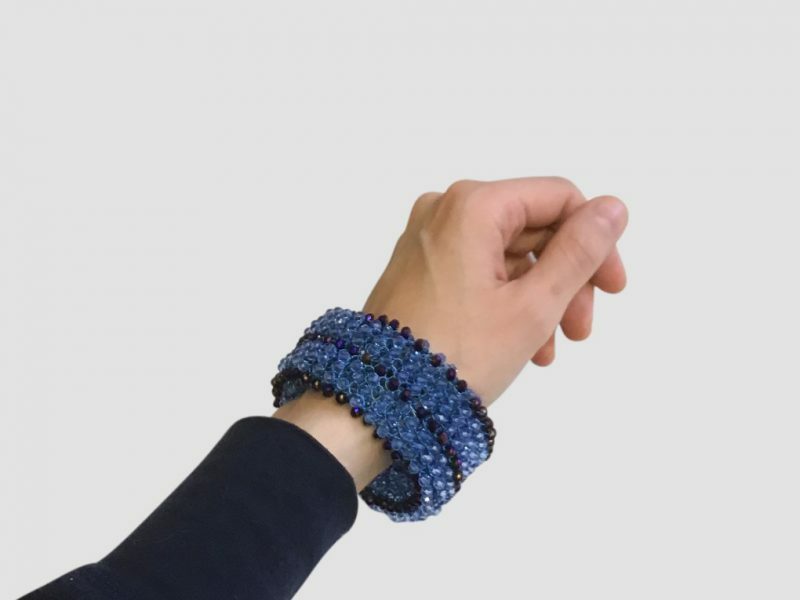 The beautiful collection of Statement Jewellery offers a colourful and contemporary selection of pieces, all of which manage to stay true to the art of crocheting without ever slipping into (or even approaching) the category of boring or expected. Completely one of a kind, the colourful Beach Cuff from Sarah Valley is uniquely beautiful. 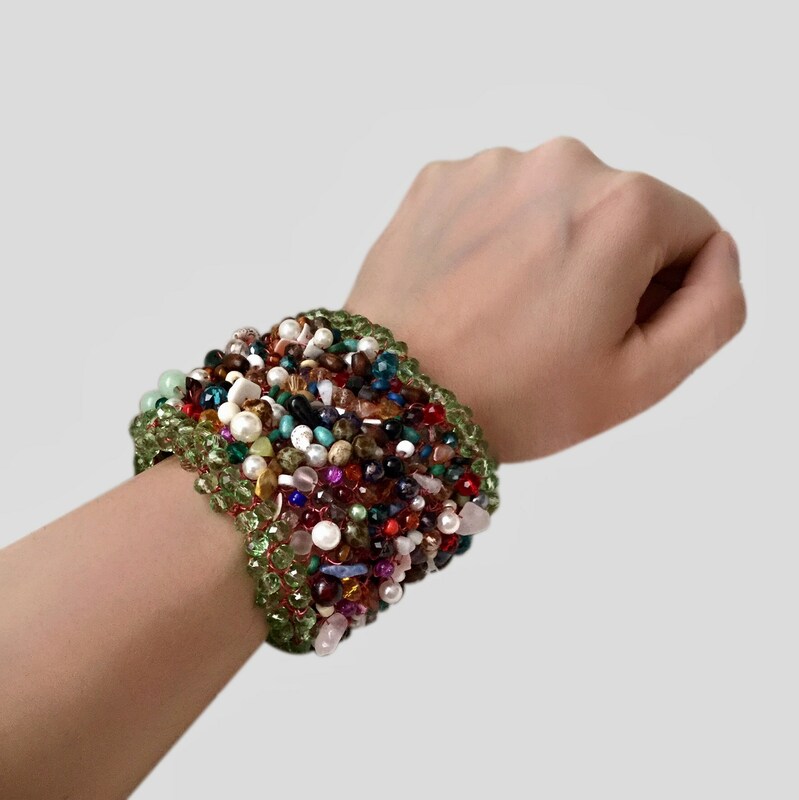 Handcrafted with a selection of natural stones, crystals, beads, and shells, each design is truly a wearable piece of art – perfect for anyone who loves statement accessories. This wire crocheted bracelet can be custom-made in bespoke colours, although this stunning red is likely to speak to every woman. 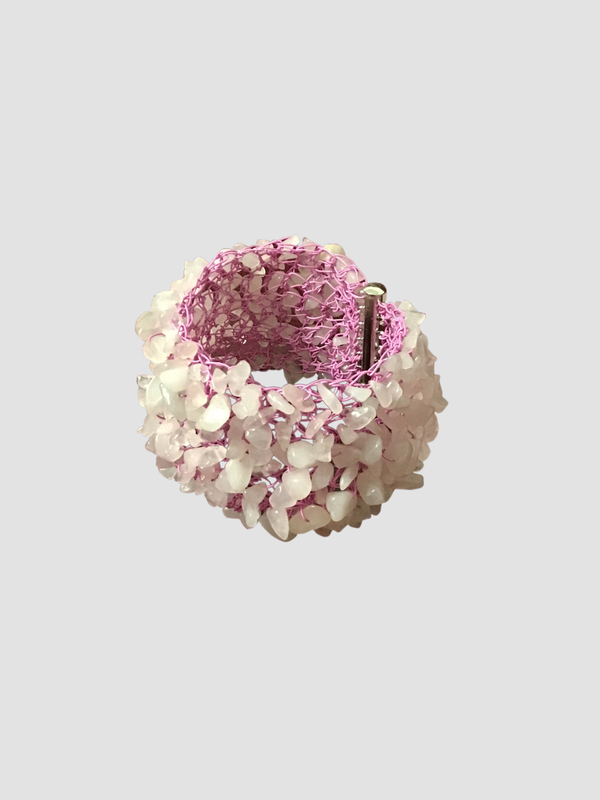 Made to last, this bracelet is comfortable, lightweight, and feminine. It’s the go-to accessory for day or evening events. 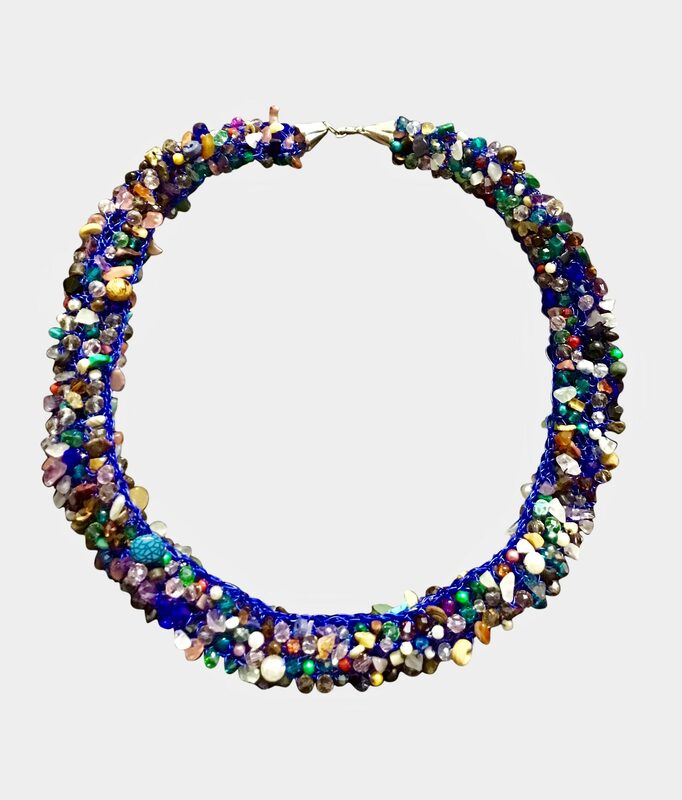 Absolutely stunning, this chunky Statement Seaside Necklace is crafted using wire crochet. A celebration of natural beauty, each stone, crystal, and bead was chosen for its uniqueness. No two necklaces are ever alike, making them an incredibly special gift. 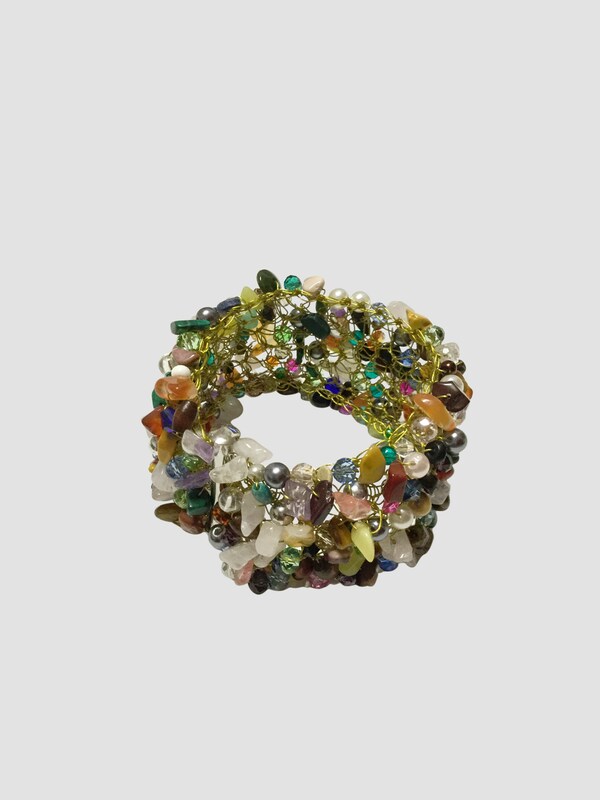 The perfect finishing touch on any outfit, this stone cuff is a great choice for special occasions. 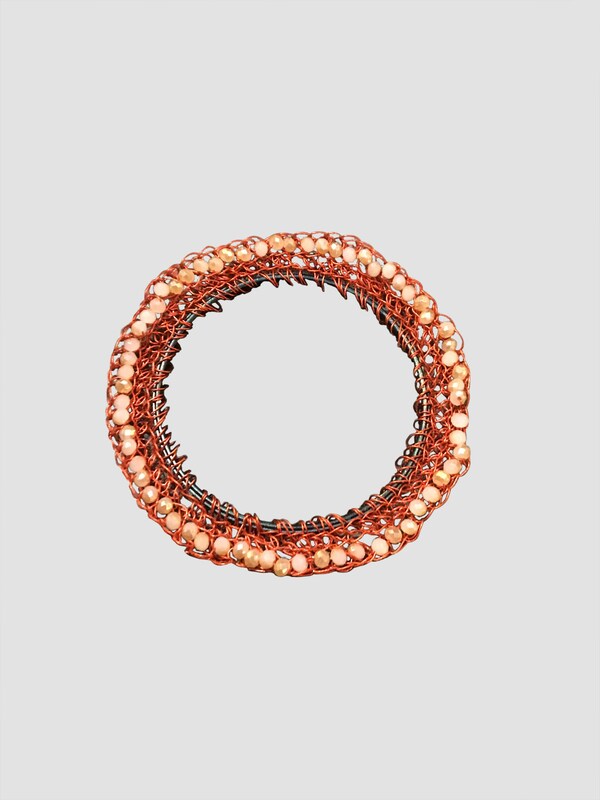 Like many of Sarah Valley’s statement pieces, no two cuffs are alike, making the brand the official antidote to mass-produced, look-alike jewellery. 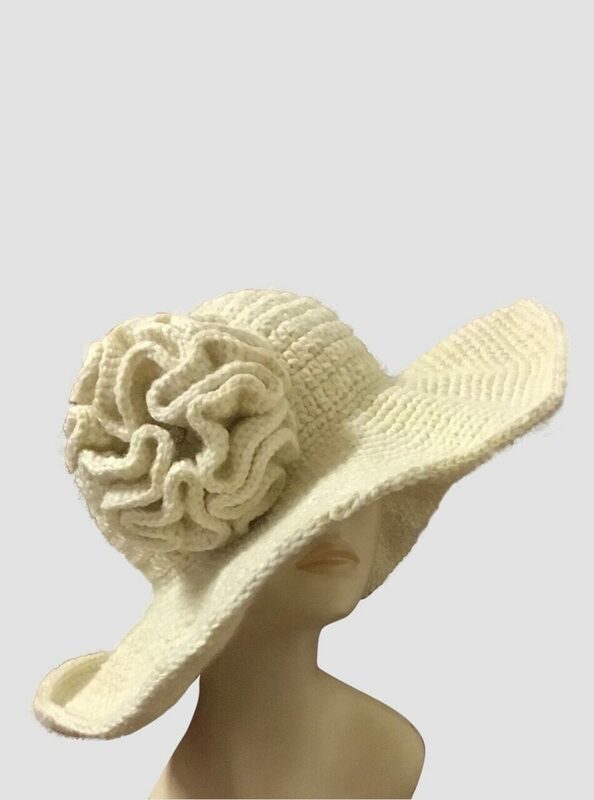 This month, Sarah Valley will be showcased at London Fashion Week, proving that the art of crochet, when in the hands of Sarah, is very much alive and well.